Kirkwood Trading Company offers custom youth t-shirt printing in the Saint Louis area. Custom youth t-shirts are very popular among the schools, teams, and foundations. The two most popular custom youth t-shirts are the 100% preshrunk cotton and the Dryblend. The Dryblend is a great choice for kids jerseys and uniforms because they do provide some moisture management capabilities without the price tag of performance shirts. They come in a variety of colors and their color options increase each season. Long sleeve coordinates are also available. The 100% preshrunk cotton tees make a great option for school field trips, functions, and class shirts and foundation run walk events. They have low price points which keeps them inexpensive on after embellishment. Custom youth t-shirts are great because kids love shirts! They can customize them to fit their own needs at little expensive. We recently did an order for these girls soccer team. They came up with a name, approved the design, and picked their numbers and away we went with the printing process. 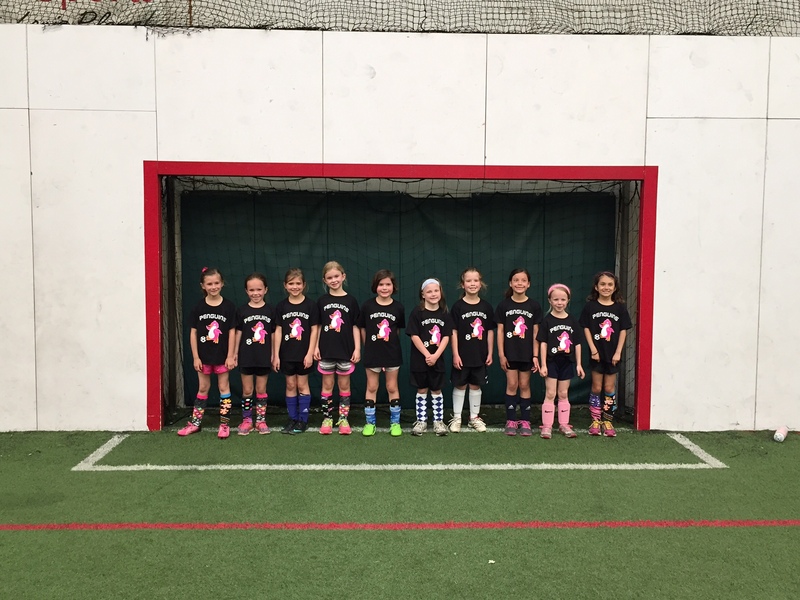 Youth sports like to keep expenses low, the Dryblends are a great option for various sports because they can work as jerseys for soccer, volleyball, lacrosse, basketball, tennis, softball, and just about any other youth sport where parents don’t want the expense of formal jerseys. Custom youth t-shirts are are growing in color options and style options. Kirkwood Trading Company will be happy to quote any custom t-shirt needs you may have for your youth organizations, team, or school.